Alarmed by encroaching pogroms, the elder Rotkovitch immigrated with his two older sons to America in 1908. Two years later, Kate followed with her daughter and her youngest son. The family settled in Portland, Oregon where they had relatives. They lived among other Russian Jews in a neighborhood nicknamed “Little Odessa.” Three years after the family was reunited in Portland, Yacov died. Cohen-Solal points out that the family was so secular that ten year-old Mark, who had the most Jewish education among them, was the only relative who said the Mourner’s Kaddish for his father. Marcus Rothkowitz, as he was known in Portland, excelled in high school and earned admission to Yale University along with two of his Jewish classmates. When Marcus arrived in New Haven in 1921, the campus was a WASP bastion of privilege and anti-Semitism. “He was disillusioned and disappointed,” Cohen-Solal said. “He didn’t agree with the policies of the closed fraternities. He was a rebel at heart and created a newspaper called the Yale Saturday Evening Pest, which destroyed the values of the institution rather than complying with them.” She further delineates the classist rivalry between Yale’s German and Russian Jews. Having immigrated earlier to the United States and succeeded socioeconomically, German Jews had an easier time fitting into Yale life. The 1920s was also a time when Rothko negotiated his internal tensions between Europe and the United States, the West Coast and East Coast, as well as his Jewish and secular influences. In his artwork from 1928 and 1939, Rothko moved towards his signature style by first painting landscapes, watercolors and oil paintings with enigmatic, phantom-like figures. 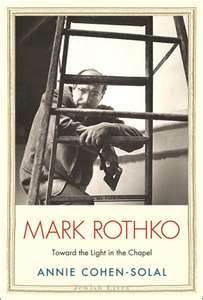 Come the late 1930s Marcus Rothkowitz became an American citizen and changed his name to Mark Rothko. As for Rothko, many of his Jewish values came together in the paintings he did for the Rothko Chapel in Houston, Texas. Commissioned by Jean and Dominique de Menil, the chapel is an ecumenical space dedicated to peace. As Cohen-Solal notes, three immigrants, one fleeing pogroms in Russia and two escaping Nazi-occupied France, created a meditative space that was as much political as it was spiritual. Three years ago I decided to take Abilify, an anti-psychotic medication, prescribed to me to boost the waning effectiveness of my anti-depressant. I had been on selective serotonin reuptake inhibitors (SSRIs) since the fall of 2001, and Abilify would be the third psychotropic prescription in my pill organizer. Almost immediately, though, Abilify wreaked havoc with my blood sugar and I was forced to weigh its psychological benefit with the physical risk of getting diabetes. And so last year I tried to taper off it. In light of my situation, I have been reading Diana Spechler’s excellent ongoing series “Going Off” with keen interest. Spechler, a novelist and essayist, has been documenting her experience of going off her psychotropic medications for the New York Times column, Anxiety. Her regimen of medication, similar to mine, included an anti-depressant, Trazadone (a sleep aid) and Lorazepam, a benzodiazepine. Although she responded well — her depression mostly lifted — she was anxious about being on the medication. .
My own history of anxiety and depression has a straightforward trajectory. I had my first panic attack in 1980 when I was nineteen. The dread and anxiety that took up residence in my mind and in my soul left me alternately agoraphobic and claustrophobic. Yet I was resolute about getting through anxiety without medication. In my twenties I opted for therapy and it helped. When Prozac came along I was tempted to try it, but there was no data about its effects on pregnancy. Soon after, I married a wonderful man and gave birth to two children. Yet panic was always lurking, and sometimes outright stalking me. And then September 11th happened. My husband was out of the country, my children were very young. I felt utterly alone and frightened and my anxiety felt different — I couldn’t get through the panic. I held my husband’s hand as I cried throughout the appointment with the psychiatrist. He was a gentle man who listened to my loop of why I didn’t want to take Klonopin or Lexapro. I reasoned that I had been so stalwart all those years without any help. But with childbearing behind me, there was my quality of life and the lives of my children to consider. I took the medicine. And it did change my life in concrete ways. I slept through the night, I could sit still without worrying about panicking. I could drive long distances on a highway. But even on the medication, I occasionally slipped back into depression and anxiety. That’s where the Abilify came in. Shortly after I started Abilify the difference in my demeanor was notable. Yet when I looked at the crowded slots of my pillbox, it felt like too much. I wanted to go back to just taking an SSRI. At first I didn’t notice any withdrawal symptoms from the Abilify until a Sunday last April when I couldn’t stop crying. Sundays are historically difficult for me — a day of anxiously anticipating the week ahead. But on this Sunday I felt the anxiety of my pre-medication days. I went back on the Abilify and my mind quieted down. Back in 2001, when SSRIs made such a difference for me, I swore that if anyone tried to take away my Lexapro she would have to pry it from my cold, dead hands. 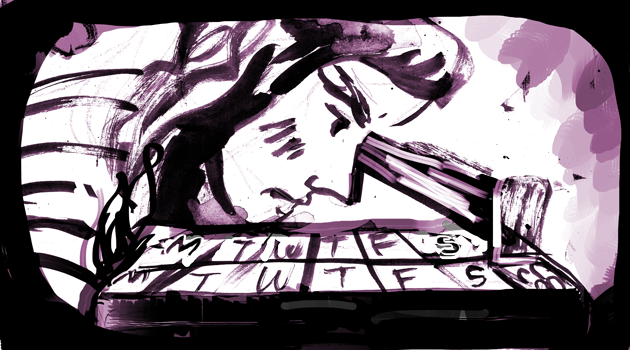 I was the SSRI poster girl, a recovering phobic, a long-distance driver. These days, though, I worry that my psychotropic medications have become a crutch and, given the bad reaction I had to tapering off Abilify, a liability. Spechler’s essays have dovetailed with psychiatrist Julie Holland’s recent op-ed in the New York Times’ Sunday Review. Dr. Holland writes that, “one in four women takes a psychiatric medication compared with one in seven men. Women are nearly twice as likely to receive a diagnosis of depression or anxiety disorder than men.” Furthermore, she reports that Abilify outsells not just psychiatric medications, but all other drugs in the United States. My psychiatrist and I are aiming to try again to taper me off Abilify. This time I’m grateful to have Diana Spechler’s experience and empathy at the ready. Nothing in Brooklyn could rival the formal dances in Havana at the Patronato de la Communidad Hebreo de Cuba. And nothing in the world could rival the exquisite Purim Ball of 1954 at the Patronato. Although my nineteen-year old mother was not selected as the Queen Esther of the ball that night, she was one of Esther’s four attendants—a very high honor for a girl whose father couldn’t afford to buy the title for her. It was also the night she fell in love with Manuel. She was wearing a black sleeveless velvet gown that her mother made for her, the neckline studded with tiny, starry rhinestones. Falling in love with Manuel was fated, she thought. Not three weeks earlier, my mother tripped on the University of Havana’s famous stone staircase that fanned down to the street. She limped to the university clinic where a handsome doctor had dressed her scraped knee. Here he was again at the Purim Ball. My mother has always believed in signs more than she believes in God. On her first day of classes at the university, my mother ventured forth alone to the campus from her flat on La Calle Mercéd in Old Havana. She had just enough money for bus fare and a Coca Cola. It had been a fierce struggle to persuade my grandfather, my Abuelo, to allow her out at all. In his mind, the university was no place for a girl, particularly a Jewish girl. Abuelo slapped my mother when she told him she had been accepted to the university. And in one of his drunken rages, he beat my grandmother, Abuela, for encouraging my mother to apply. But at the ball my mother defied her father’s odds and danced with the Jewish Manuel all night. Manuel stroked her knee, now fully healed, through the black velvet of her dress as she sipped lemonade. This was love, my mother thought. By the winter of 1959, my mother’s heart was broken forever. She had followed Manuel from Cuba to New York. 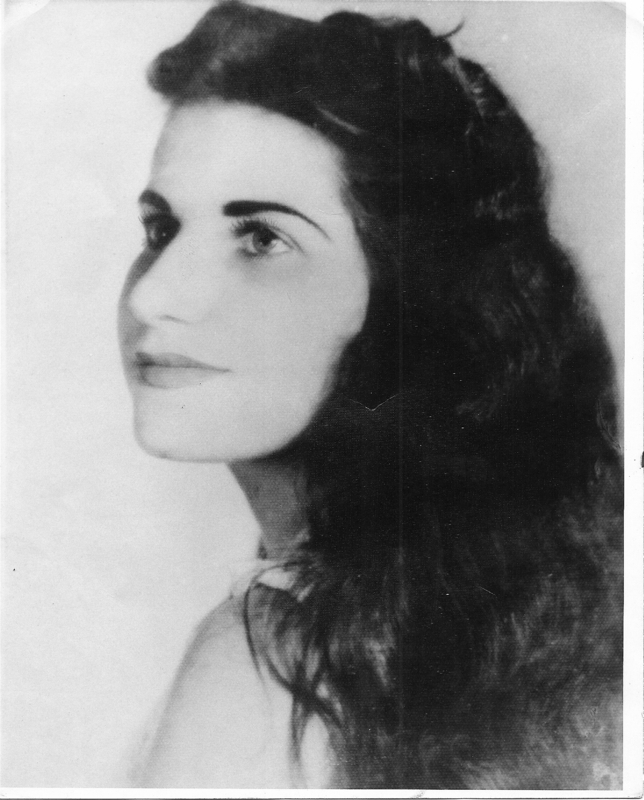 She believed that Manuel had not asked her to join him in the United States right away so that she could finish her studies in case Batista reopened the University of Havana. But soon after she arrived, she understood his noble gesture for what it was: Manuel did not want her. My mother stayed in America anyway, where she endured the cold and year-round homesickness in a room she rented from her father’s cousins. When she came down with pneumonia during her first New York winter, she stayed in bed, feverish and disoriented. The Hungarian girls she worked with at the watch factory, where she typed invoices, brought her homemade pastries. While her friends’ political conflagration in Budapest happened in 1956, Castro had only recently come down from the Sierra Maestra Mountains, marching into the center of Havana on New Year’s Day, 1959. Once she was well enough, my mother’s cousins encouraged her to go to Saturday night dances for Jewish singles, but she preferred to stay in with them and watch Perry Mason and Lawrence Welk. Those dances were for chusmas—girls who wore ankle bracelets and bright red toenail polish—on the prowl for men of equally questionable status. Bound up in my mother’s lifelong sorrow has always been the loss of her nineteen-year old self, the girl who was so nearly the belle of the Purim Ball that she inflated the honor of runner-up into a victory of its own. “I was prettier than any of these girls,” she sighed when we watched a beauty contest on television. That part she got right. The proof is in the black and white photograph I have of my mother taken shortly after the Purim Ball. Her head is slightly turned to the right; she seems to be gazing off into the future. Her wavy black hair is loose and cascades down her back. Her lips are dark, her eyebrows arched like a movie star’s. At nineteen, my mother is magnificent. She is nobody’s runner up.